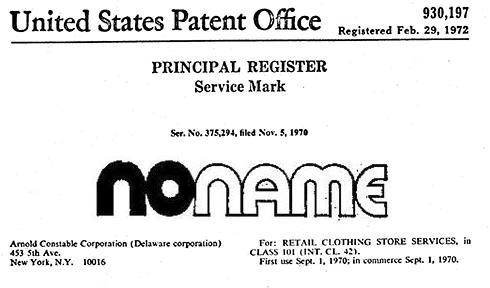 Here are 4 companies that, for various reasons, decided to trademark “No Name” as their brand name. Sometimes the self-contradicting name was chosen as a was of signaling lower priced products. 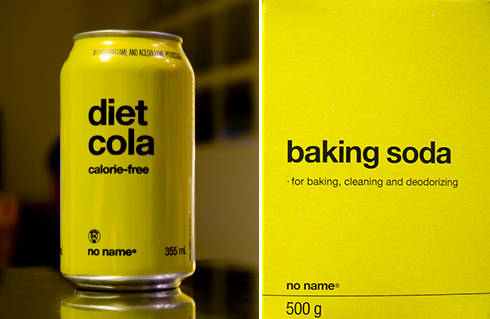 Other times the “No Name” name started out more like a place holder, where the owner never quite got around to naming the product and the “no name” label just kinda stuck. Arnold Constable’s chain of “noname” unisex stores lacks on-premises identification of any kind. Yet its lack is in itself a unique signing method. “Noname” has, literally, no name. 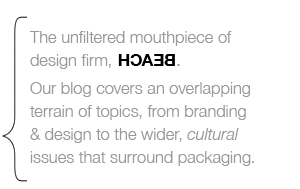 And no logo. And thus no sign over the entrance. Or anywhere else. Just piles and piles of unisex tops and bottoms begging to be bought. It’s a fad-type success, no doubt, and now that it’s been done, the no-sign entrance has been used up; it still is necessary to get the public’s attention and to identify the store. John Fujita’s logo for his line of No-Name fishing lures was trademarked in 1952. Over thirty-five years ago, in a small neighborhood butcher shop, a local butcher began selling delicious, hand-cut steaks. These steaks cooked up tender and juicy and, as rumor had it, tasted incredible. Word began to spread. When his customers asked the butcher what these steaks were called, he simply replied, “They don’t have a name.” Soon, people were coming from miles around to get the steaks with “No Name,” and a legend was born. Fast forward to today. 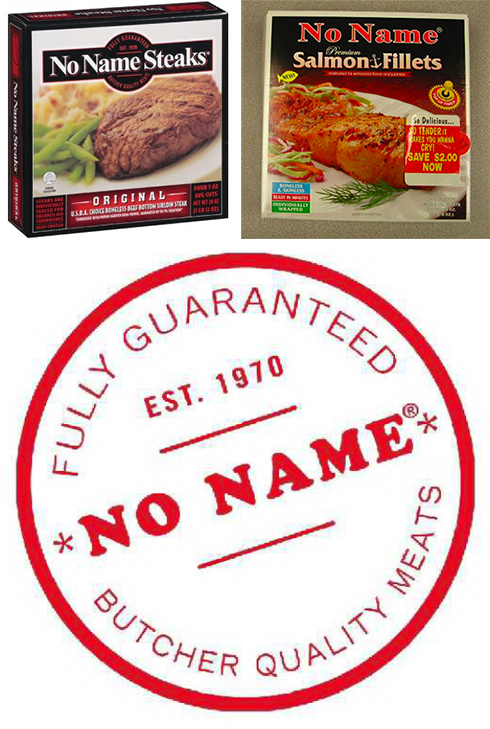 No Name® still is famous for steaks, but now No Name® has also become synonymous with quality dinners for all sorts of tastes. No matter what you’re in the mood for, you know it will be delicious, guaranteed. Look for all the varieties in your grocer’s frozen meat section.